Perhaps relating this humble sports car to a Countach is overdoing it a little. 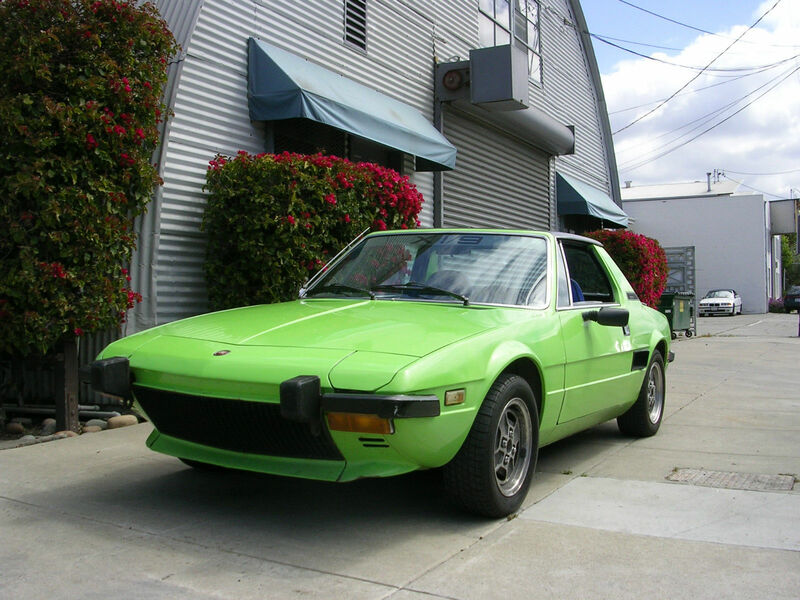 But give it a moment’s thought – how many early 1970s cars can you describe with the following attributes: angular wedge shape, mid-engine, Italian, and in a bright pale green on bright blue color scheme? Most people will think of a Miura or Countach when you list those off, but you can have a similar experience for much less. And it’s arguably more fun, since if you stuff it into a hedge you won’t have wrecked a six-figure car, even if these are probably equally rare. 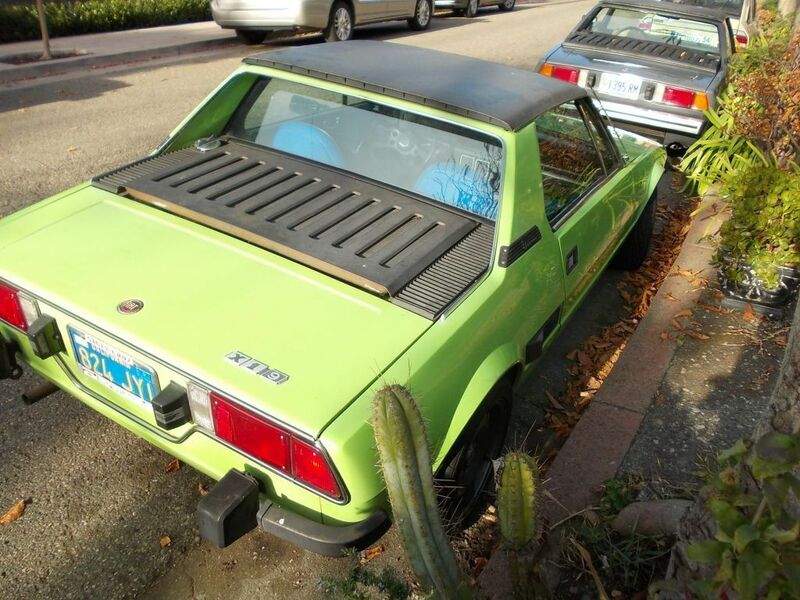 You can find this 1974 Fiat X1/9 for sale in Oakland, CA with bidding currently at $2225, reserve not met and just over one day left to go. This was the X1/9’s first year in North America, and it was the only year to have the small, impotent (but aesthetically strong) bumperettes that let the design shine. Unless, of course, you get hit. 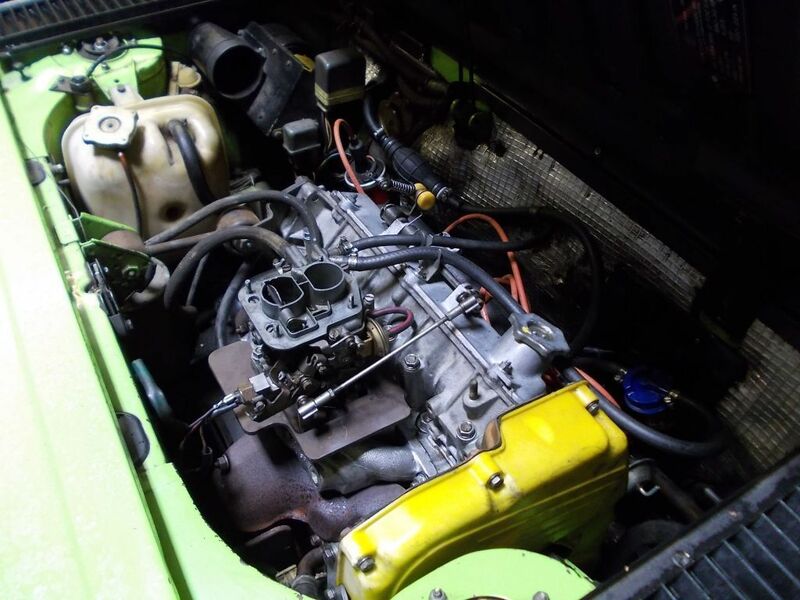 While it has the early 1300 engine, versus the larger 1500 of later models, the seller has fitted an 1100 head that gives higher compression and greater torque. You will also not have to smog check this car, at least in California. While the car was well-kept, the original seats were in rough shape, and have been reupholstered in this bright blue that only works on a limited number of cars. The dash and steering wheel are in great shape with no (yes, you read that right, no!) cracks. As with yesterday’s Suzuki Swift GTi, this car is for sale by Jaan Hjorth. In addition to bring the interior back up to snuff and adding the 1100 head, he’s installed a new-in-the-box Weber. The car is said to run great, and have no issues, barring some old tires and soft rear shocks. Oh, and while there’s got to be some somewhere on the car, given its age, it’s said to have no rust. Jaan purchased the car from the original owner, who got it as a student, and sold it as a grandmother. At the age of 39, it must have some minor imperfections, so if you are picky about such things, you may want to run down to Oakland and inspect in person. That said, with some new tires and shocks, you’d no doubt have one of the nicest surviving X1/9s in the world. This entry was posted on November 22, 2013 at 1:23 pm and is filed under Feature. You can follow any responses to this entry through the RSS 2.0 feed. You can leave a response, or trackback from your own site. That blue interior with the bright green paint makes me a little dizzy. It seems like a sweet car otherwise; I haven’t seen a nice X1/9 since the 80’s.